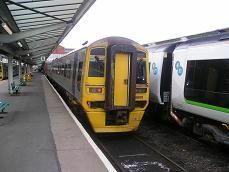 Description: This popular commuter line goes north west from Birmingham via Walsall to Rugeley. 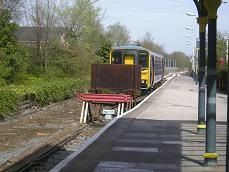 History: The line first opened to passengers in 1870, having previously been part of the Cannock Mineral Railway. It then closed to passngers north of Walsall in the Beeching cuts of the 1960's, continuing as a freight only line. It was reopened to passengers between 1989 and 1998. 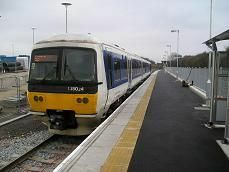 Description: This brand new route which opened in December 2008 links Aylesbury with the new station of Aylesbury Vale Parkway on the A41 about three miles to the north of the town. It is on a freight-only line to the waste terminal north of Quainton Road station, which belongs to the Buckinghamshire Railway Centre. 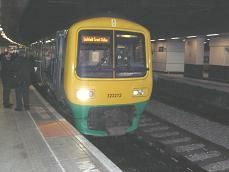 History: This line is on the former Great Central line from London to Nottingham via Rugby. 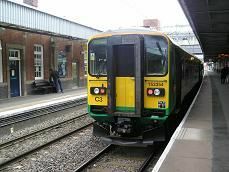 Description: The line leaves the main Cross-Country route from Birmingham to Bristol at Barnt Green at the start of the famous Lickey Incline. It then goes south eastwards for five miles via Alvechurch before terminating at Redditch. 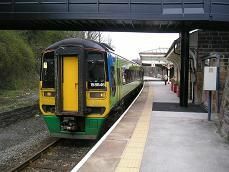 Description: This picturesque branchline follows the valley of the River Derwent as it enters the Peak District of Derbyshire. 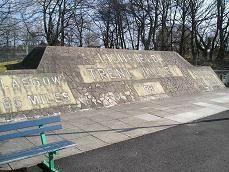 History: This route was originally part of the Midland Railway line from Manchester to London St Pancras. 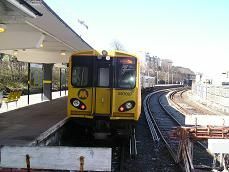 Description: The line leaves the Birkenhead area and moves south through the Wirral Peninsula, before crossing the River Dee to enter North Wales before arriving in Wrexham. 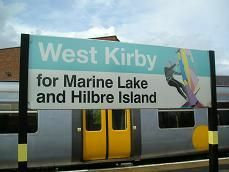 Description: This branch line shares its route out of Liverpool and Birkenhead with the Wirral Line to West Kirby. 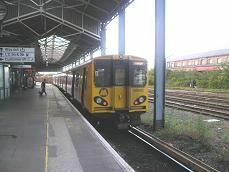 It leaves this line soon after Birkenhead North where it goes north into Wallasey before terminating at New Brighton. 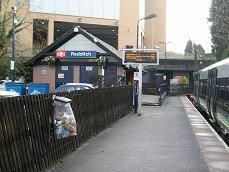 Description: This popular commuter line goes north from Birmingham via Sutton Coldfield to Lichfield. 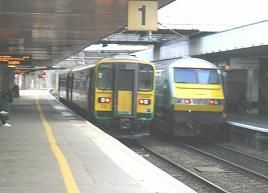 History: The line originally ran from Birmingham to Derby via Burton-on-Trent. It is still used for freight and as a diversionary line north of Lichfield. Description: Leaving the Preston to Leeds line at Blackburn the line travels north on the western edge of the Pennines to Clitheroe. The line continues as a freight line to Hellifield on the Leeds to Carlisle line. 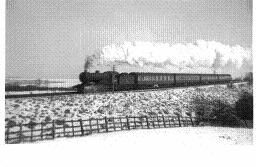 Trivia: On summer sundays passenger trains continue on from Clitheroe through to Hellifeld on a service from Blackpool to Carlisle. 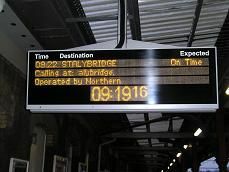 History: The line was originally opened in 1846 forming the central part of the "Varsity Line" from Oxford to Cambridge. 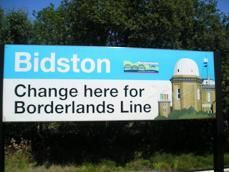 In the Beeching cuts of the 1960's the line east of Bedford was closed in 1967, whilst the line west from Bletchley to Bicester has remained mothballed since 1993. 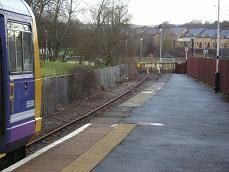 The line was designated a community railway line in 2006. 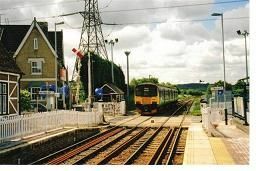 Description: The line crosses the counties of Buckinghamshire and Bedfordshire from south west to north east, passing through the picturesque Marston Vale. Future Plans: These include extending the service through to Milton Keynes, Bicester/Oxford and Sandy/Cambridge. See East-West rail link below. 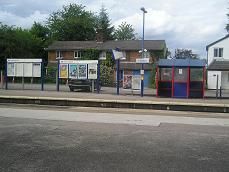 Trivia: Kempston Hardwick station on the line once had the reputation as being "the least used station in Britain"! 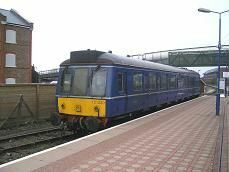 Description: This mainly double track line runs through a mixture of both industrial and coastal scenery passing the western edge of the Lake District as well as the large Sellafield Nuclear Power Station. History: The line as we know it today was the result of several different railways being built in this area during the mid-1800's. The first section opened was the Furness Railway from Kirkby-in-Furness to Barrow-in-Furness in 1844. Then came the Maryport and Carlisle railway which opened the northern stretch from Carlisle to Maryport in 1845. Next was the stretch from Whitehaven to Kirkby-in-Furness opened in 1865. The final link from Maryport to whitehaven was opened in 1866. 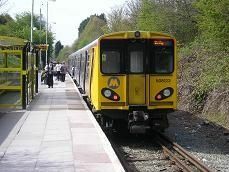 Description: This line runs up the eastern side of the Wirral peninsular from Chester in the south to Birkenhead in the north, before it goes under the River Mersey into Liverpool. 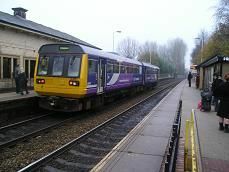 Description: This minor line goes eastwards from Chester across Cheshire to the southern outskirts of Manchester, before joining the mainline from Manchster Piccadilly to London at Stockport. 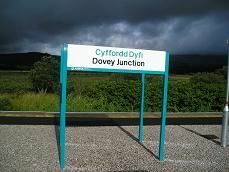 Description: A very picturesque railway line which follows the western coastline to Wales, with spectacular views of Snowdonia. 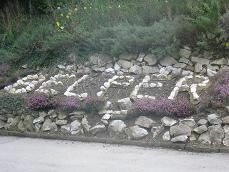 Description: This used to be the main route from Manchester to Sheffield aka the Woodhead Route. Passengers trains stopped running beyond Hadfield in 1969, but freight trains continued until 1982. Description - This electric branch line starts off under the streets of central Liverpool, passes under the river Mersey and emerges in Birkenhead at Hamilton Square, where it leaves the southern branch of the Wirral line which goes on to Chester. 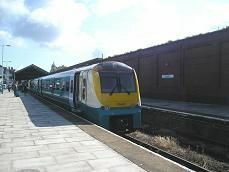 It then travels westwards across the northern edge of the Wirral peninsular to terminate at West Kirby across the Dee estuary from North Wales. 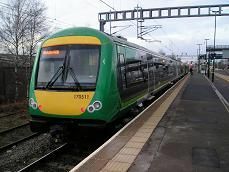 Description: A short connecting line between Hatton on the Chiltern mainline and Wilmcote on the North Warwickshire Line from Birmingham to Stratford-upon-Avon. 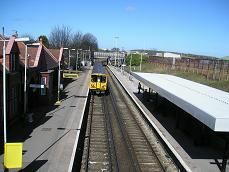 Description: This branch line shares its route out of Liverpool and Birkenhead with the Wirral Line to Chester. 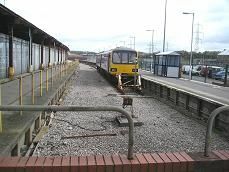 It leaves this line at Hooton where it goes eastwards to Elllesmere Port where Merseyrail trains terminate. 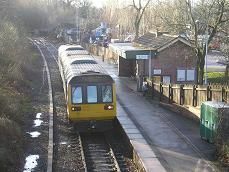 There is a limited service operated by Northern Trains on to Helsby which is on the Manchester to Warrington line. 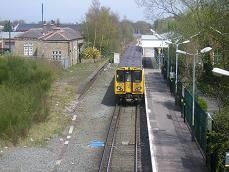 Description: This branch line leaves the Liverpool to Manchester (via Warrington) line at Hunts Cross and runs parallel to the north bank of the river Mersey into the centre of Liverpool. Description; The line leaves the original Liverpool to Manchester railway line soon after Huyton and goes in a north easterly direction via St Helens to join the West Coast Main Line at Wigan North Western. 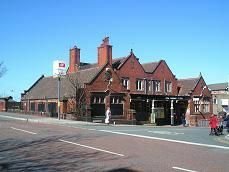 History: The line from Huyton to St Helens was originally opened in 1871, with the section from St Helens to Wigan being opened in 1869. Trivia: This line has been given the go-ahead to be electrified though completion may not be until 2017. 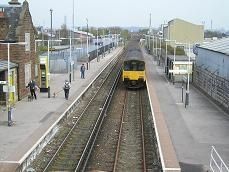 Description: This branch line leaves the Blackpool North main line at Kirkham & Wesham station and travels round the South Fylde Coast through Lytham St Annes to Blackpool South station. Trivia: In August 1935 a typical Saturday saw well over 400 trains arriving and departing from Blackpool's two main stations. 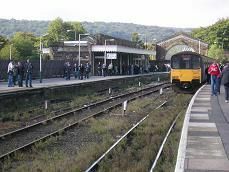 Description: This double track line runs along the southern edge of the Lake District and over the northern edge of the Morecambe Sands. Description: This short branch line leaves the West Coast Main Line north of Lancaster and travels westwards to Morecambe. 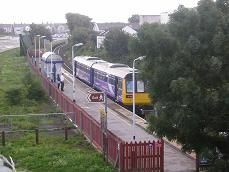 Trains going to the port of Heysham reverse at Morecambe station. 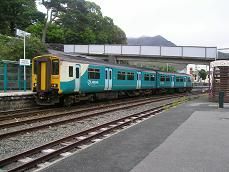 Description: The line goes due south from the seaside resort of Llandudno, crossing the North Wales main Line at Llandudno Junction, before following the valley of the River Conwy into the Snowdonian Mountain range to Blaenau Ffestiniog. History: The line was opened in stages between 1863 and 1881, primarily as a route for the export of slate through the port of Deganwy. Description: This existing freight branch line, reopened to passenger traffic in 1998 after being rebuilt bit by bit throughout the 1990's. 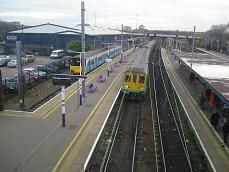 It connects Nottingham in the south with Worksop in the north passing through some post industrial landscapes and former mining towns. 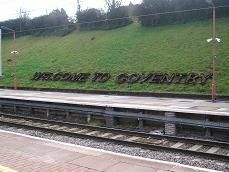 Description: This line goes south east from Nuneaton to Coventry. History: After closing to passengers in 1965, this line was reopened to passengers once again in 1987. Two new stations - Bermuda Park and Coventry Arena were opened in 2015. 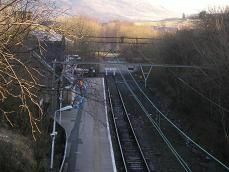 Description: This branch line leaves the West Coast Main Line at Oxenholme and turns westwards where it passes through the town of Kendal before reaching the eastern edge of the Lake District and Windermere. Trivia: The station of Windermere is actually 1 1/2 miles from Lake Windermere. 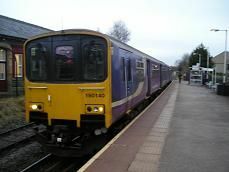 Description: This once important route from Scotland to Liverpool is now a minor single track branch line with just 12 trains a day in each direction. 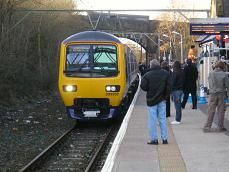 At the moment trains from Preston terminate at Ormskirk as there is a short gap in the line with buffers, so passengers from Preston change here and walk along the platform to the Liverpool side of the buffers and board the waiting Merseyrail train. 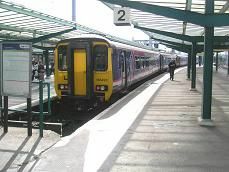 History: This line was once the main line from Liverpool Exchange to Preston and Scotland, but in the 1970's the main route to Scotland moved to Liverpool Lime Street to the West Coast Mainline at Wigan. Description: This short branch line goes north east from Princes Risborough through the Buckinghamshire countryside to Aylesbury. 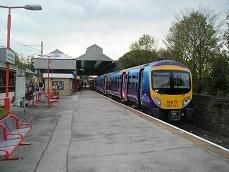 Description: On of the shortest branch lines in Britain which runs off the mainline from Manchester to Sheffield on the western edge of the Pennines. 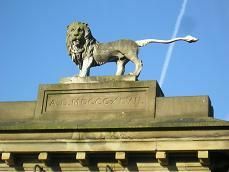 History: The line was opened originally in 1869 running from Manchester to Macclesfield. The line south of Rose Hill Marple closed in 1970. 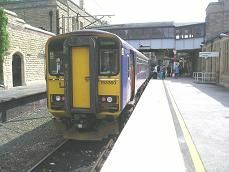 Description: This branch Leaves the Preston to Leeds line at Rose Grove near Burnley and travels into the Pennines before terminating at Colne. 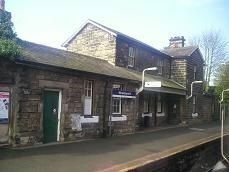 It originally went through to Skipton. A campaign is aiming to get this gap in the line re-opened. Description - This picturesque line leaves the south eastern Manchester suburbs behind as it climbs up into the foothills of the Pennines, with panoramic views of the Peak District ahead, before arriving in the historical spa town of Buxton which is 1,000 feet above sea level. Description: The rarest train journey in the whole of Britain. It leaves Stockport at 9.22 am Fridays only (from December 2009), to terminate at Stalybridge, but doesn't do a return journey. 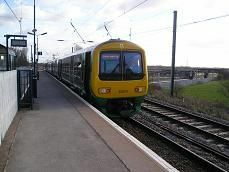 History: Since May 2009 the Class 153 single units have been replaced with Class 139 Parry People Mover units. Description: This is a picturesque branch line going South East from Birmingham via the Warwickshire countryside to Startford-upon-Avon. 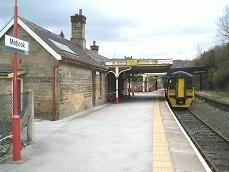 Many of the railway stations along the route have been painted in Great Western Railway colours. 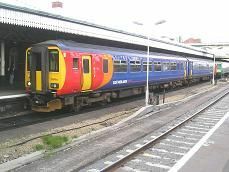 Description: This short branch line runs from the West Coast Mainline at Watford Junction through the beautiful Hertfordshire countryside before terminating in St Albans by the historic Abbey. 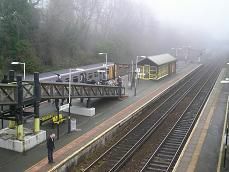 Description: This branch line leaves the Manchester to Southport line just after Wigan Wallgate and gos south westwards towards Liverpool, terminating at Kirkby. 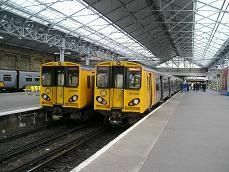 Here Merseyrail trains terminate the other side of the buffers.